Are you hunting for a house to live or hunting for the buyers to sell your home? Whatever it is, an agent is always ready to eat up all your profits. 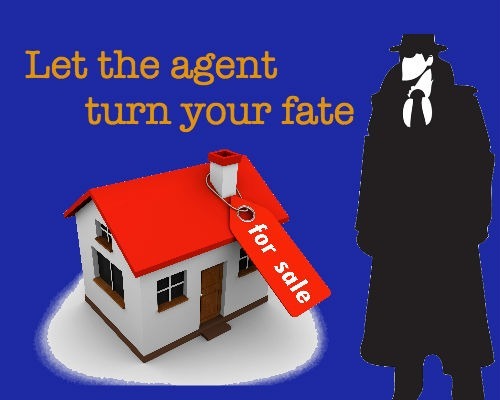 No doubt, an agent is all set to prey the sellers or buyers when it comes to properties. Every single deal leaves their pockets with good profits. So, why would anybody wants to lose their pocket to the dealers? But, today’s scenario will heartily welcome the mediators. The agents today are not those conventional commission eaters. The world connected with web warmly invites the online agents. These mediators serve as the best servicemen. They don’t lure for money rather they lure to serve you better. Now, the agents are totally different and are not after money only. Now is the time to welcome these online agents whole heartedly as they are not merely the agents but are a good support throughout. When it comes to sell or rent your property, the profit should come in your pocket. So, it is all about choosing a right agent at the right time. An online agent not only helps you in getting the best deal done but also assists you with all the paper work. The online agents do not take any commission from the buyer or the seller. So, the total earnings come to you. Online agents feel proud to be the real agents as they assist their clients and with their service they make many good relationships too. They give you all the services that a customer expects. They are the experts in the real estate markets. Online agents truly know the market value of your house. They are the proficient property seekers and turn out to be the top real estate agents. These online agents take no time to change your fate and make the deal in your favour. When the deal turns out to give you the maximum earnings, you don’t have to bother about paying any commission to any agent. And we cannot deny the fact that it’s only the online agents who demand a few bucks. If it is about the usual agents, they definitely don’t let your pocket taste the benefits. Eventually, using online middlemen is like selling your home without any agent. It’s merely you, learning to be an agent in the whole process.